Home » Articles and Videos » 3 Proposed Changes That May Cost You Big! 3 Proposed Changes That May Cost You Big! 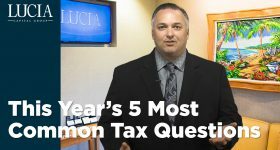 Number 1: Limiting the mortgage interest tax deduction. For many years now, mortgage interest payments have generally been tax deductible to people who itemize their deductions on their tax returns. This has been a huge boon to many taxpaying homeowners, and has often provided a big incentive for people to buy a home. The panel is recommending that this deduction “should no longer apply to mortgage interest when home equity decreases, such as through HELOCs and second mortgages.” They tell us they’re concerned that too many people have borrowed from the equity in their homes, thus increasing their debt load and creating a burden in retirement. By eliminating the deduction in those cases, people should be discouraged from going into debt. I guess we just can’t make these decisions for ourselves, can we? Number 2: Cut Social Security benefits for the wealthy. They want to do this in a couple of different ways. First, they’re looking at raising the FICA wage base from $118,500 to $195,000, which would add an additional 6.2% tax on wages between those amounts. The other cut they’re recommending is through a cap on spousal benefits. They say that the current spousal benefit “mostly benefits certain high-income families who can afford to have only one earner, and, in this way, undermines the progressivity of Social Security.” So in other words, the higher your income is now, the greater the chance that your spousal benefits will be capped. Number 3: Close the “stretch” IRA provision. 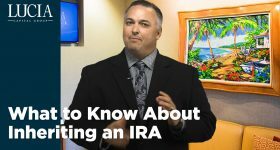 Under current law, if you are a non-spouse beneficiary of someone’s IRA or defined contribution plan, you can choose to stretch the required minimum withdrawals over your own life expectancy. 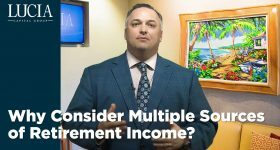 Doing it this way may allow you to leave the money inside those tax-advantaged accounts for a much longer period of time, potentially saving you from paying large amounts of income tax right away. The commission recommended closing this so-called “stretch” provision, and forcing you to take all of the money out of the account within a five-year time limit. For some people, this could create a big tax bill they hadn’t counted on. 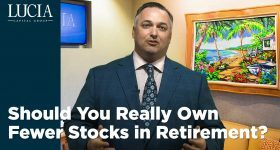 There is so much more out there that could potentially affect you – that’s why we have a strategy first approach to your retirement planning. So whether these three items will affect you or not, there may be something in the future that does, and that’s why we’re here.